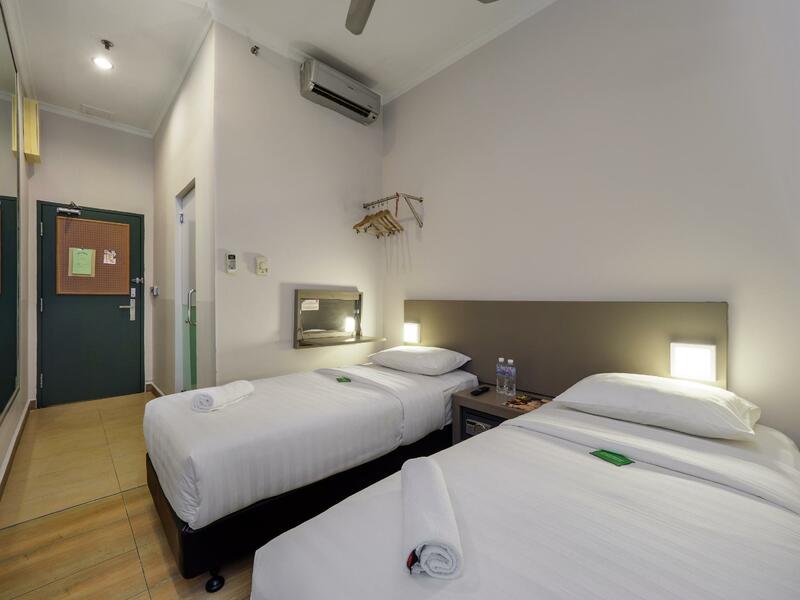 "Room is clean, facility acceptable, food were just nice, the..."
Have a question for Tune Hotel – 1Borneo Kota Kinabalu? "The environment looks secure and comfortable, once we settled, we left the room around 11.30pm and returned 2.30am (4/1/18)." 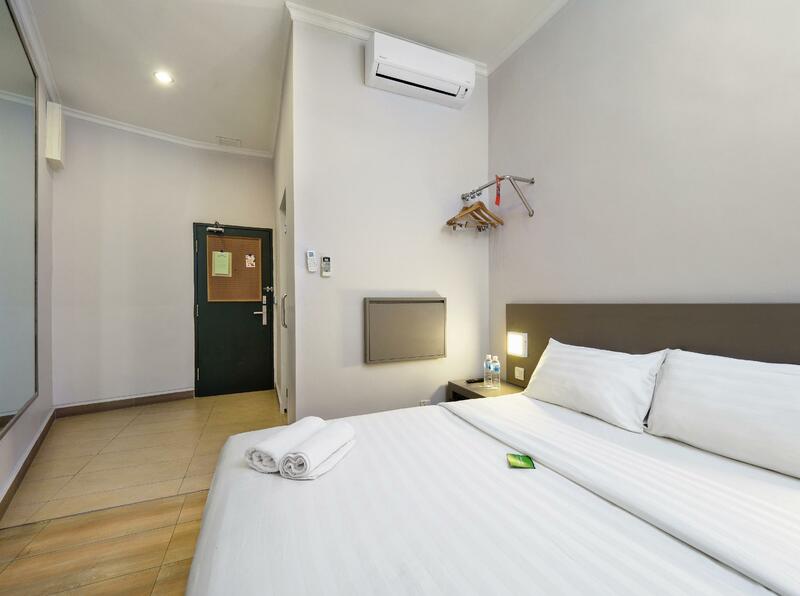 "I had a pleasant stay at this property because this hotel is..."
Located within Sabah’s largest mall, 1Borneo Hypermall, Tune Hotel – 1Borneo Kota Kinabalu offers air-conditioned rooms with en suite bathrooms, free Wi-Fi, personal safe and toiletries. 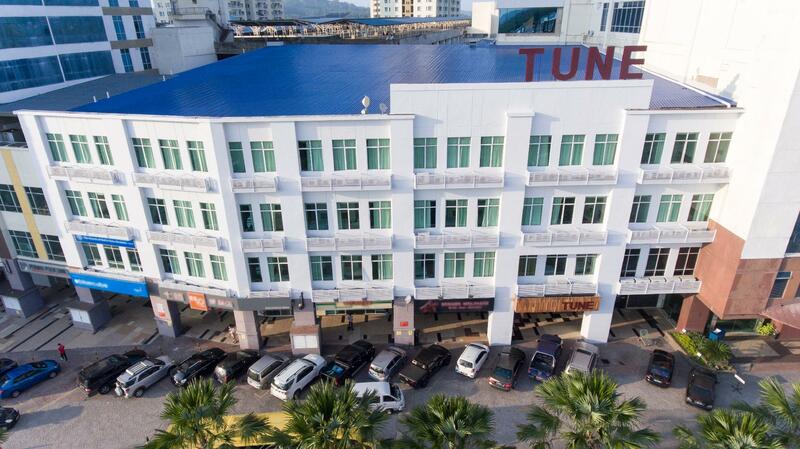 Tune Hotel – 1Borneo Kota Kinabalu is a 25-minute drive from Kota Kinabalu International Airport and along the major transport roads to the many natural attractions that Kota Kinabalu offers leisure visitors, including Mount Kinabalu. Within easy reach is the Tunku Abdul Rahman Marine Park, an ideal location for snorkeling, diving, and jungle trekking. Up for the cultural aspects of Sabah? You can check out the Handicraft Market, Gaya Street, and Sabah State Museum & Heritage Village. If you’re unsure of what you want to do, head to the tour desk at the property’s lobby. The property’s front desk provides luggage storage services. Guests can enjoy a variety of dining options within the mall as well as a variety of local seafood options within a short drive. Please note that rates quoted are inclusive of 24 hours of air conditioning, and 2 towels rental per night. Amenity pack consists of two bars of soap and a bottle of shampoo. 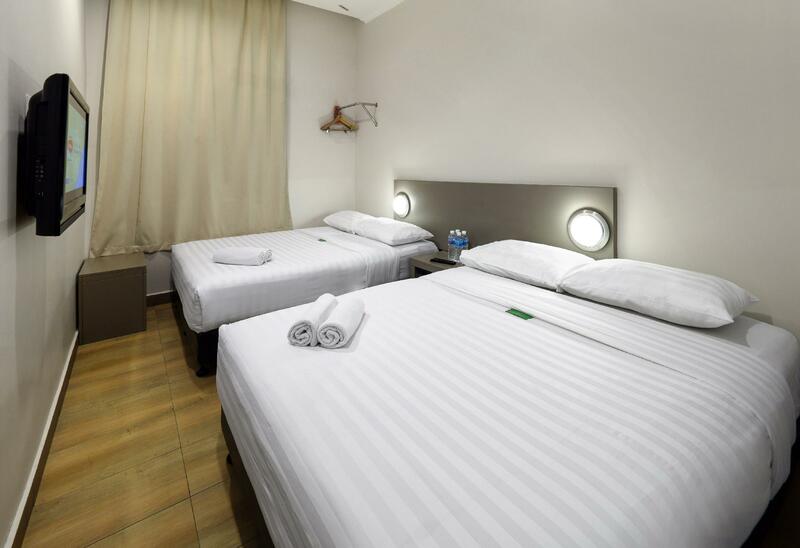 Additional towels and all other room amenities are chargeable on guest personal account and payable directly to hotel. Welcomed by the hotel friendly reception staff. Smooth checking in process. Room is without window and bathroom is fine. Towel is provided but one awkward thing, room service seems to come late at 6-7 pm daily, when I was taking my rest. Pretty disturbed by this. Overall, good. Choose room with window but there is no different with or without window bcos still facing the darkness from my room. No coffee facility provided. Not comfortable to stay. TV channels blur. Toilet very small.. breakfast no test at all. Mug stain. Just simple food but at least the test is there but very dissatisfied.. staff at the reception very polite..
Best thing about this hotel is its common area at Ground floor. Great for just chilling out, reading some books or working on your laptops. Room is basically clean and cozy for one night stay. But nothing much in the 1Borneo Mall next door. The room was nice and staff were accomodating. Such a nice place to stay because this hotel is attached with 1 Borneo Hypermall so it very recommended if you are planning to go windows shopping at evening. I booked a room with window but there is no view that u can view. There one of the staff (boy) was very rude and unfriendly. I stay here for few days and the worst thing ever is when it comes to breakfast time, the hotel (staff) do not refill again the food. Breakfast start 6.30am till 10.30am if I not mistaken. But, if you go around 9.00am there is no food longer served there. I was attending a worksop at Klagan Regent and stayed at Tune hotel which is a 5 minutes walk, 1 Borneo Mall is also the attraction for shopping. Toilet not really clean and bit dirty..Water heater not function as well.. I booked online a room with window and i do get a room with window but what u can see outside is a dark empty space in between another side of the building which i assume there is room and the cusomers face the same issue with me 😅. Booking through online is very helpful,but the problem is..the hotel will give you the lowest grade room they have(my personal opinion) ,though it is still okay and it could also bcs of the price is cheaper compare to when u reserve over the counter/walk in. I had a pleasant stay at this property because this hotel is attached with Hypermall so all the shops, eateries & boutique are walkable. 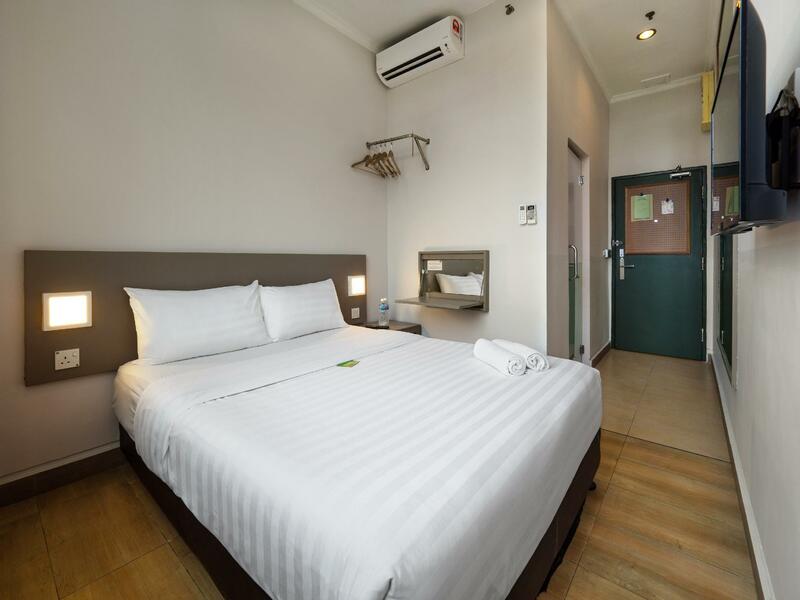 This hotel is equipped with basic amenities although this hotel looks ordinary from outside. Room was comfy, bed linen & pillow case is clean. easy access to the mall is one of the main reason I always return to this hotel. please improve your room features; as I have been there every month, sometimes twice a month.. I always have issue with the TV. It cannot be switched on. apart from that, all is good. Convenience stores just right beside the hotel for late night snacks. The best part is it's located at 1 Borneo Hypermall. Roomwise, it's very very small. If you're Muslim, be ready to move the bed a little to do prayer. Facilities provided is wifi and also a cafe. Staff is very polite and friendly. If you like to shop and walk around and only stay at hotel to sleep, this is the hotel for you. The location is good because it is attached to shopping mall with cinema too. Recommend to rent a car to travel to places nearby such as Gaya street, Kundasang and etc. No free parking provided by hotel but you can park next to hawker stalls which is free. The cafe opens till 8pm and the only way to get hot water is through the cafe since no boiler in the room. Staffs are friendly and helpful. the aircond on room 354 is not functioning. i hope for the the staff will check every facilities working or not before check-in customer to the room.